When Alaska Airlines began service to Havana on Jan. 5, it wasn’t the first time the airline had flown to Cuba. In the early 1970s, Alaska flew U.S. Military Airlift Command charter flights to the base at Guantanamo Bay, as well as charters to Caribbean locations such as Jamaica, Puerto Rico and Panama. 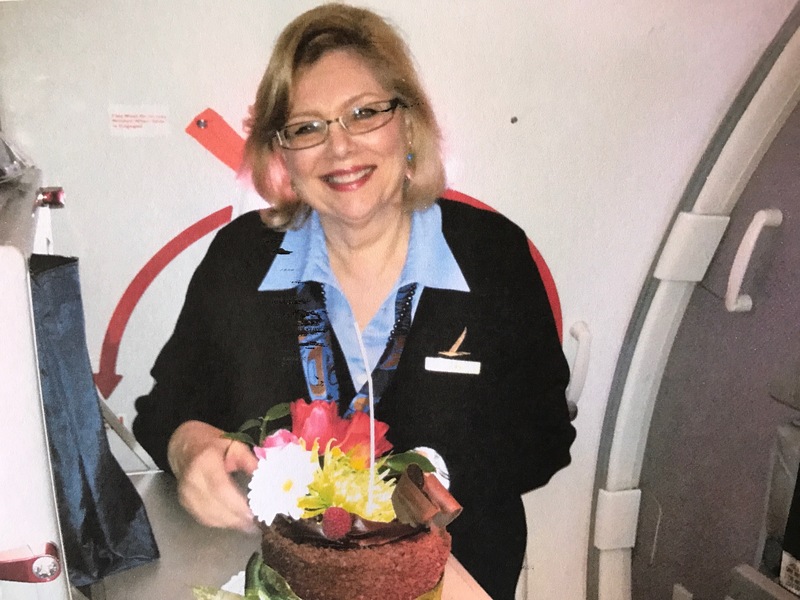 Some of the flight attendants from that era still fly for Alaska Airlines today, including Julia Simmonds, Joanne De Cicco, Lynn Odell and Gail Spaeth, as well as Jackie Fay, now a lead reservations sales agent. Additionally, Ed Fischer, a director in Alaska’s System Operations Control, grew up on the base at Guantanamo Bay, where his father was a teacher. As a 4-year-old boy, Fischer flew on an Alaska Airlines charter flight to Cuba in November 1970 – a Friday the 13th. “My mother said that must be why we lived there so long,” said Fischer, who graduated from W.T. Sampson High School on the base in 1984. 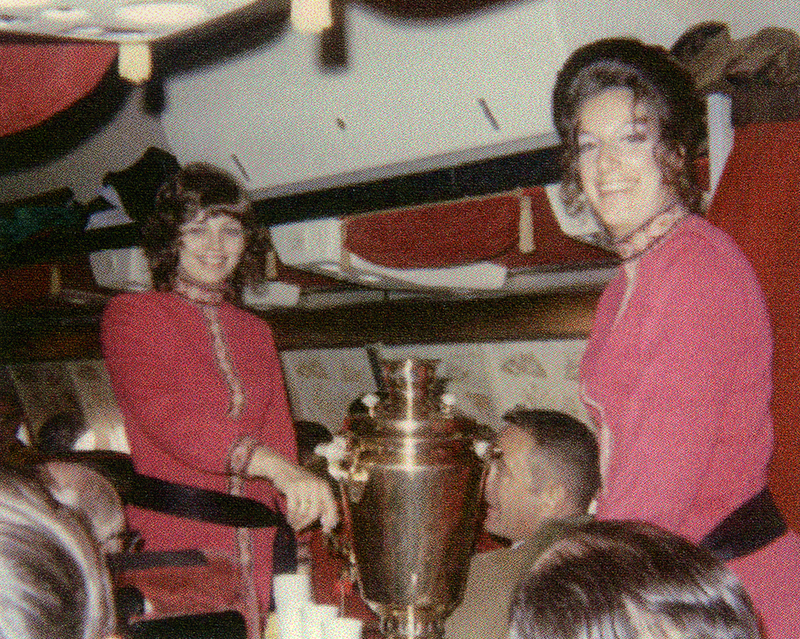 Joanne De Cicco, at left in a photo from the early 1970s, worked on the charter flights to Cuba. She’s still an Alaska flight attendant today. 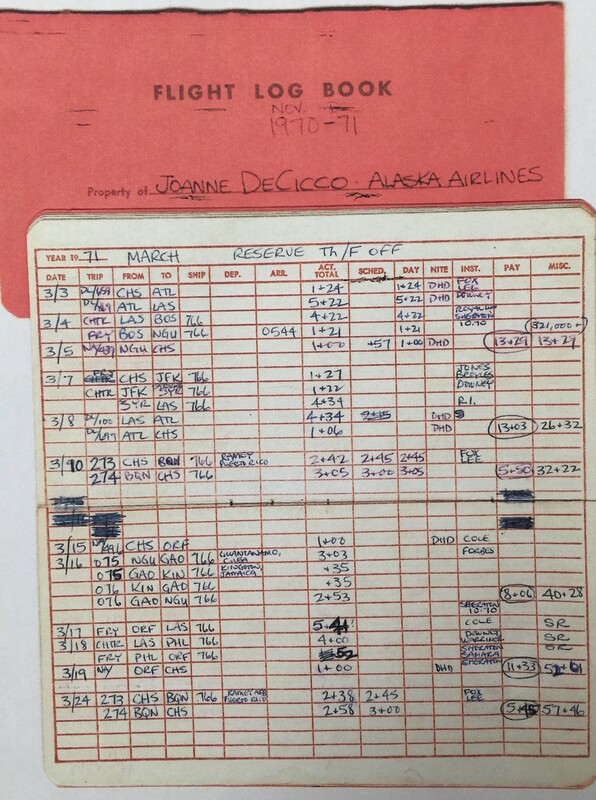 De Cicco still has her flight log book that shows the daily charters to Caribbean destinations. Alaska flew charters for the government during the week, then flew private charters on weekends. “I have a very strong memory of flying from Kennedy to Las Vegas, with a very party-minded plane full of dentists!” Simmonds said. 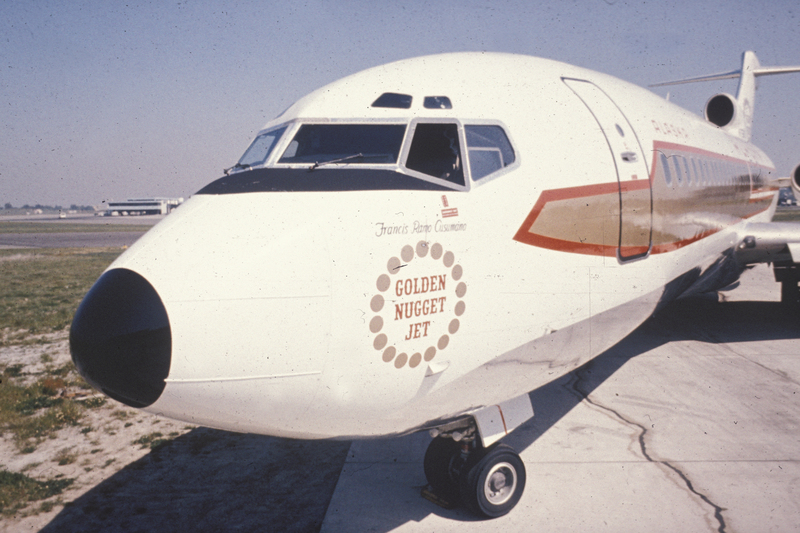 Alaska flew charters to Cuba on a Boeing 727. Fay says the flights from Naval Base Norfolk to Guantanamo were very subdued, as military personnel reported for work. It was a different story on the departing flights – that’s when people were leaving for R&R. Locals employed at the base included exiled Cubans as well as some Jamaican families. For Fischer, growing up on the base was like living in a small town.